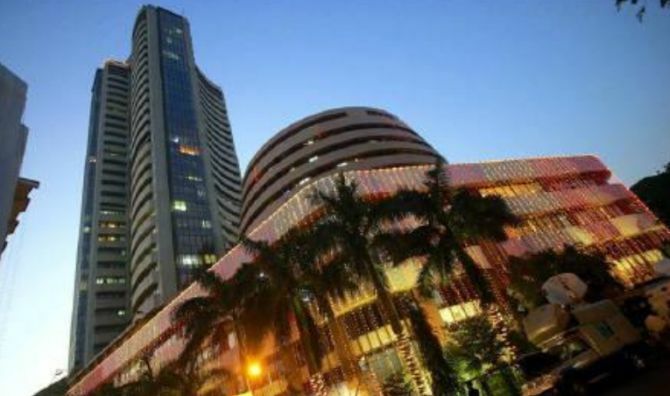 The benchmark BSE Sensex dropped 61 points and settled below the 35,000 mark on Monday, tracking weak Asian stocks amid uncertainty around the China-US trade war, fall in rupee and unabated foreign fund outflows. "Rupee weakened on account of crunch in domestic liquidity while gradual decline in yield may ease the concern. “Investors' were bit conservative in the holiday shortened week due to uncertainty regarding US china trade deal and Fed policy," they added.